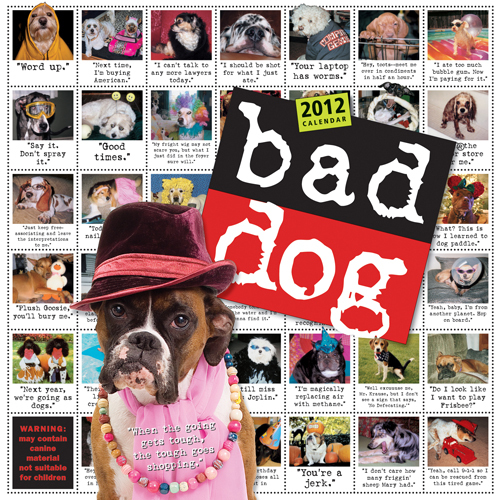 The Bad Dog Calendar for 2012 is here. Based on the New York Times bestselling book called Bad Dog, this calendar features hilarious pictures of dogs behaving badly paired with the funny things they would say if they could talk. This entry was posted on Monday, December 19th, 2011 at 12:32 PM. It is filed under Blog. You can follow any responses to this entry through the RSS 2.0 feed.